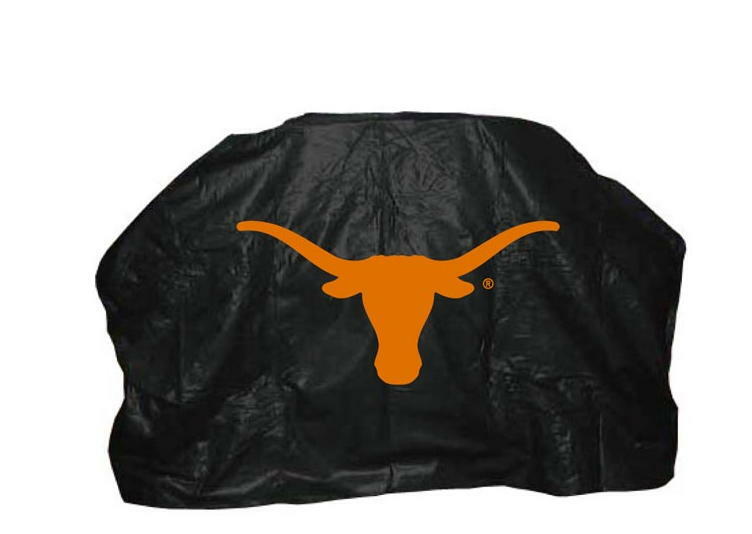 Show off your Texas Longhorns and protect your grill from the elements at the same time with a high quality, 20 gauge vinyl, flannel lined grill cover from Seasonal Designs. This officially licensed grill cover is weather resistant and resists cracking, even in the colder weather. The cover will fit most large cart style grills and is available in two sizes: 59"W x 42"H x 19"D and 68"W x 43"H x 23"D. Now you can show your team spirit and extend the life of your grill simultaneously!